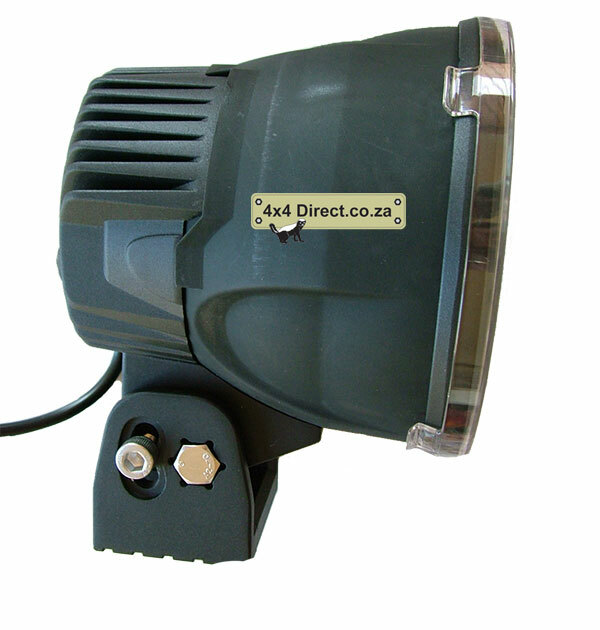 The same supplier who supplies our 25watt LED Spot now launched a 65 Watt Version. I did test it a while ago but only had clear weather tonight to take pictures of the light pattern. What I like about it is that it uses a single LED Chip, thus it do not look like a LED Spot. This is the most light we saw to date. 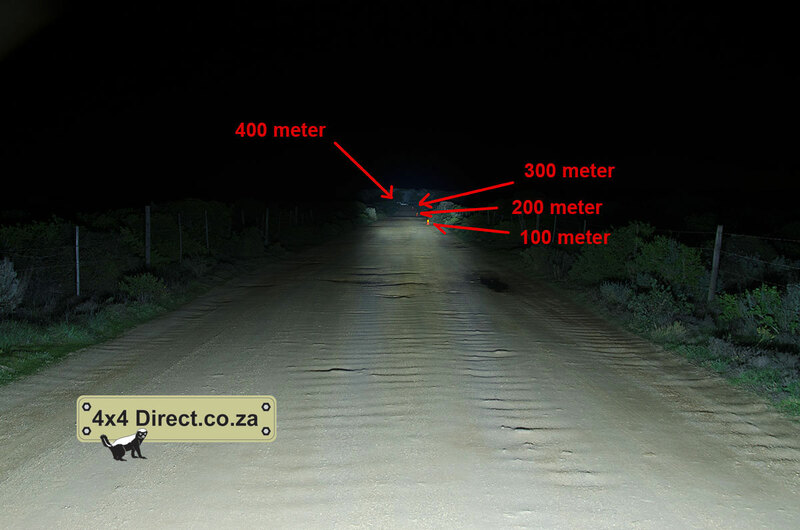 That white thing on 400 meters is George's Hilux. We held both 65 Watt spots by hand above our heads to clear the bushes. We measured the distance afterwards on Google earth. 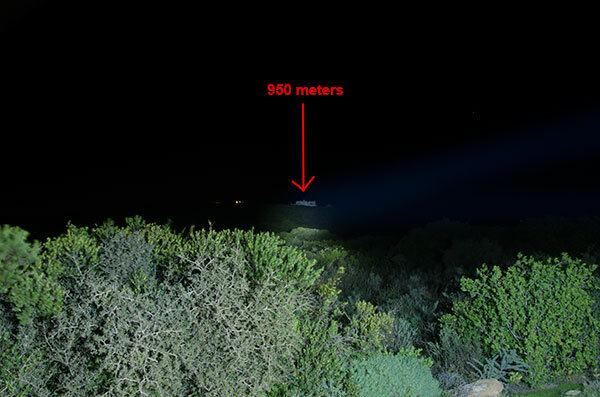 The house is approx 950 meters from us. Wow, awesome!! Better than a light bar by the look of it! Only if you buy the wrong ones. If you buy these cheap ones with the 3 watt or 5 watt LEDs and so called "4D" lenses, yes they are generally flood. 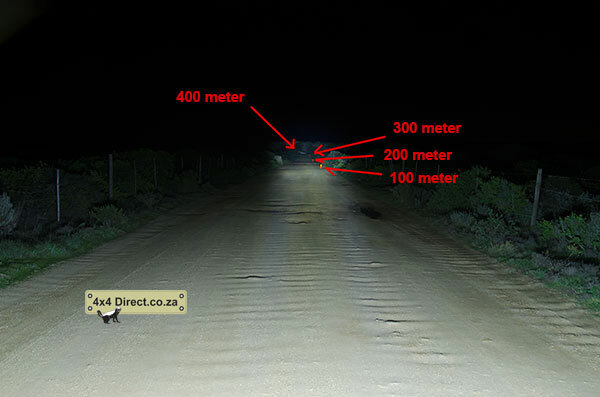 Both our 20" bars will also illuminate that dune at 400 meters, not as bright as these spot but you can see those dunes on 400 meters with our LED Bars as well. 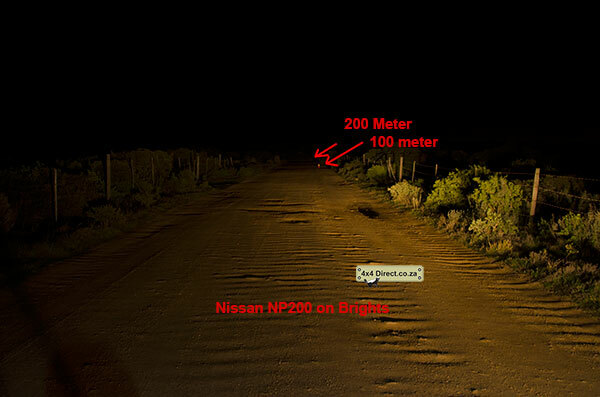 Is die spotlights vergelykbaar met die x vision spots? Myne sommer ge order en betaal. Ek het die bewys van betaling vir Jacques by 4 x 4 direct ge mail, hoop dis reg so, ek het nie n fax nie. Any possibility of these becoming available in a hand-held version? That was exactly one of the things we discussed while doing the tests, it would make a super drooper handheld search light. I asked the suppliers and awaiting their reply, although I know their standard answer. "Yes sure, if you order 2000 units we can do it". They can build you anything you want if the QTY is there. Hoekom manufacture jy nie jou eie handle wat hy aan vasskroef nie? What is the mass of a single light? 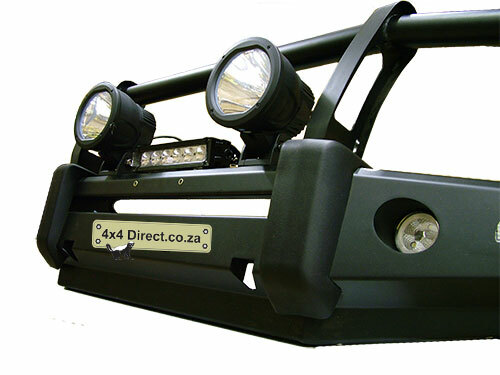 Pieter, kan jy dalk n pic post van die spot hoe hy van vooraf lyk, wil sien hoe lyk sy reflector en die LED. Dankie! Mud Dog wrote: Wow, awesome!! Better than a light bar by the look of it! Jacques, is jou ligte al op? pietpetoors wrote: Jacques, is jou ligte al op? Hulle is op ja, skyn vir die dood daai goed, het nog nie met hulle gery in die aand om hulle te ervaar nie, sommer net getoets hier op die grondpad by my huis. dis iets om aan gewoond te raak die goed.